WEDNESDAY, March 22, 2017 (HealthDay News) -- As a critical vote to repeal "Obamacare" looms Thursday, House Republican leaders worked furiously on Wednesday to garner enough votes to begin dismantling the landmark health care reform law. Pressure to pass the repeal bill came directly from President Donald Trump on Tuesday, who met privately with House Republicans to convince defiant party members to keep their promise to repeal the Affordable Care Act (ACA), also known as Obamacare. Trump's visit was part of a full-out effort by House Speaker Paul Ryan and other Republican leaders to secure the 216 votes needed to pass the bill in the lower chamber before sending it to the Senate for consideration. "President Trump was here to do what he does best, and that is to close the deal," Ryan said after the meeting. Ryan's plan, known as the American Health Care Act, is a budget "reconciliation" bill that rolls back major tax and spending provisions of the ACA. It is the first step in the process to replace the historic health law, signed by President Barack Obama seven years ago on March 23, 2010. Although key House committees have signed off on the bill, the legislation faces sharp opposition, even within the Republican party. GOP leaders unveiled changes late Monday that were aimed at winning over party skeptics. The amended legislation accelerates the repeal of various taxes under the ACA, and imposes an immediate ban on state Medicaid expansions. It also allows the federal government to make "block grants" to states to fund Medicaid. Under the ACA, Medicaid expansion provides benefits to all who qualify, while block grants would give states a lump sum of money to spend as they see fit. In addition, the amended bill gives states the option to implement a work requirement in Medicaid for certain able-bodied adults. Some of the changes are a response to a backlash by the Republican party's conservative wing, whose members have complained that the proposal doesn't go far enough to peel back Obamacare. Some moderate Republicans have also expressed concern that the bill would adversely affect their constituents, particularly older Americans. A Congressional Budget Office (CBO) analysis of the GOP's American Health Care Act found that older adults who buy individual health insurance would face sharply higher health insurance premiums. A 64-year-old making $26,500 a year would see annual premiums rise from $1,700 under current law to $14,600 under the Republican plan, according to the CBO. One change announced Monday would allow the Senate to sweeten tax credits to people aged 50 to 64 through an unrelated tax deduction, the Washington Post reported. The maneuver is expected to free up an estimated $85 billion in aid. The CBO is expected to release an update of the amended bill's financial impact on Wednesday, according to media reports. "I think we'll get the vote on Thursday," Trump said after his meeting with House Republicans. But some critics insisted that Trump and the GOP leadership have gravely miscalculated their chances of success. In an interview with CNN Tuesday night, Sen. Rand Paul (R-KY) predicted the bill's failure, with an estimated 30 to 35 House Republicans opposing its passage. "The real negotiations begin when we show them that they don't have the votes to pass an 'Obamacare-lite' bill," said Paul, who opposes the bill. Paul maintains that the House bill fails to solve the problem of escalating premiums. Ryan's proposal maintains popular aspects of Obamacare, namely the ban on exclusions of people with pre-existing conditions and the ability to keep young adults on parents' health insurance until age 26. However, it would also eliminate Obamacare's controversial individual and employer health insurance mandates. The GOP plan also advances a so-called continuous coverage provision. Insurers would be allowed to impose a 30 percent surcharge on health plan premiums for a year if consumers let their insurance lapse. America's Health Insurance Plans, the nation's largest health insurance lobby, issued a statement Tuesday commending the House for supporting the continuous coverage provision. "A strong, stable individual market can deliver more choices at lower costs for more consumers," the insurance group said. However, another group took issue with the bill. 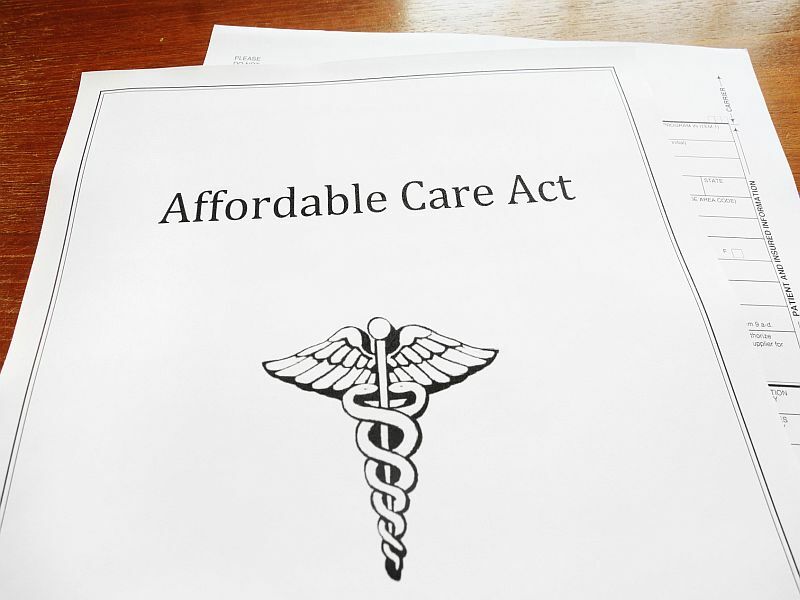 Twila Brase, president and co-founder of Citizens' Council for Health Freedom, said the GOP bill fails to live up to the promise of an Obamacare repeal. The council advocates for health freedom and affordability. "We are concerned that it's just exchanging one federal program for another federal program," Brase said. Instead, the council is calling for recreation of an individual insurance marketplace where consumers may buy "catastrophic" coverage to cover major health events. "Insurance is not to pay for every little thing that happens to you at the doctor's office," Brase explained. But because it has evolved that way, "it is exceedingly expensive, because everything has to go through the health plan." But many House Republicans insist the legislation is their best chance to finally make good on campaign promises to repeal the ACA. The American Action Network, which advocates for centrist Republican positions, on Tuesday announced the rollout of radio ads in 28 conservative districts urging members of Congress to stand with Trump in repealing Obamacare. "Lawmakers will soon face two options," Corry Bliss, the organization's executive director, said in a news release. "Either support patient-centered, affordable health care or keep the Obamacare status quo that has hurt millions of Americans." SOURCES: ABC News; Washington Post; American Health Care Act and amendments (speaker.gov); March 13, 2017, Congressional Budget Office, Washington, D.C.; March 21, 2017, news releases, America's Health Insurance Plans and American Action Network, Washington, D.C.; Twila Brase, president and co-founder, Citizens' Council for Health Freedom, St. Paul, Minn.